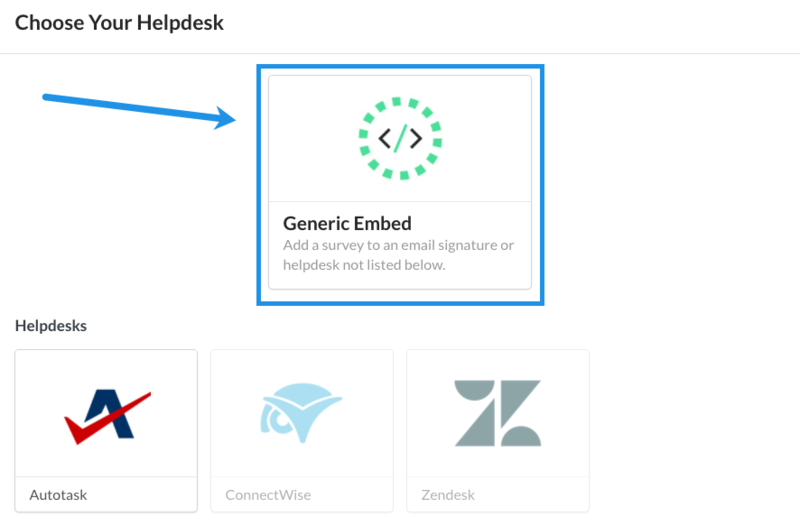 Simplesat allows you to create a CSAT survey that you can embed directly in Kayako email notifications. 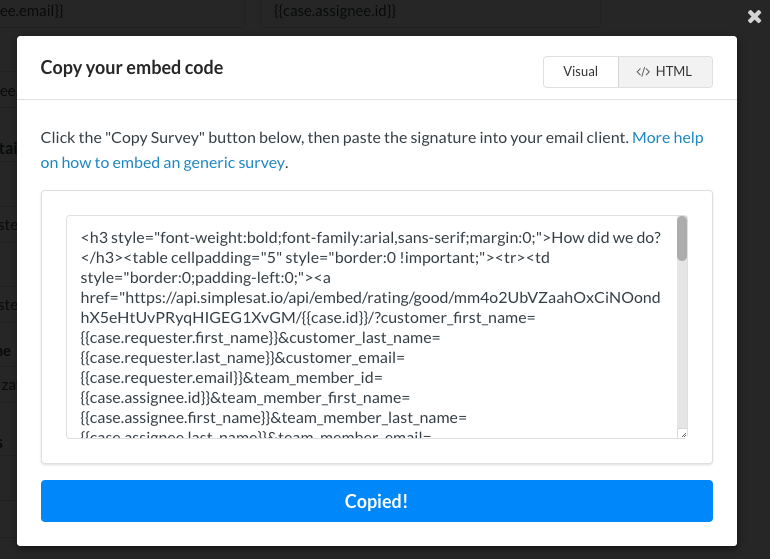 Customize the survey settings, and add Kayako's email placeholders in the Embed Code section. In the Admin section, navigate to Automation > Triggers. We recommend adding the Simplesat survey to the trigger that notifies your customers of a solved case. That way they have a chance to rate the ticket once you've considered it complete. 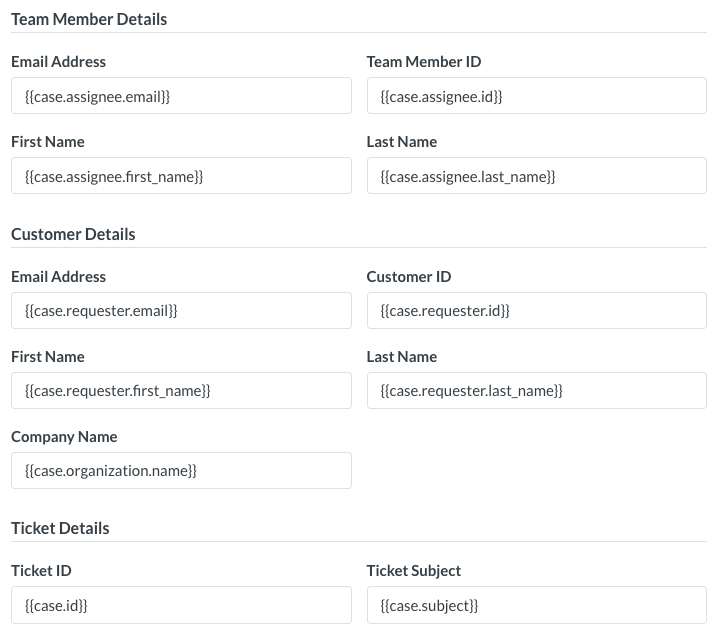 Create a test ticket with yourself as the requester. Solve it and click a rating in an email. Once you do, new feedback should instantly show up in your Simplesat dashboard.